Water damage insurance claims can be costly and headache-inducing. Your insurance agency’s goal is to settle your claim while giving you the least amount of money possible. When it comes to water damage, they can be particularly nasty. Here are 5 things you need to know about maximizing your water damage insurance claims. For even more, also see our best tips for dealing with water damage insurance claims. Public adjusters help you maximize your insurance claim and negotiate with the insurance company on your behalf. If your disputed amount is over $10,000, then it’s typically in your best interests to hire a public adjuster. Most public adjusters have previously worked on behalf of insurance agencies before “going to the other side” to represent the public. They’ve handled water damage claims like yours on both sides of the negotiating table and they can be a tremendous asset to have. Water damage and flood damage are two different things. This difference can have an enormous effect on your claim. Water damage is often cited as the most frequent type of damage reported in the home insurance industry. It can be caused by problems like frozen pipes, broken pipes, poorly-maintained appliances, sewage backups, leaky roofs, wind driven rain, and many other problems. Water damage is typically covered by home insurance policies. Flood damage is not. 3) Do You Need Flood Insurance? Flood damage is not covered by home insurance. In fact, flood insurance wasn’t even available in America until 1968, when the US government established the National Flood Insurance Program. Today, many homeowners have flood insurance through the NFIP. Standard property insurance plans will never cover flood damage. You must buy a separate policy from your insurer or through the NFIP. In layman’s terms, it refers to rising water or mud that has appeared on land that is usually dry. Typically, floods are caused by heavy rains, overflowing rivers, thawing snow, hurricane storm surges, or flash flooding. If you’re close to the water table, in a flood plain, or in a region prone to any of these conditions, flood insurance is a smart plan. After experiencing water damage, your insurance company may hire their own cleaners for your home. These cleaners aren’t always of the highest level of quality. They may be constrained by a tight budget imposed by your insurance agency, for example, making them unwilling to go the extra mile. That’s unacceptable after your home experiences water damage. Make sure your water damage remediation team uses moisture detectors, hygrometers, infrared cameras, and other advanced equipment to monitor the location of the water in your home. The cleaners also need to use disinfectants to prevent the spread of mildew, bacteria, and fungi. When an insurance company adjuster fails to follow through with this protocol, it throws the restoration of your property into jeopardy. 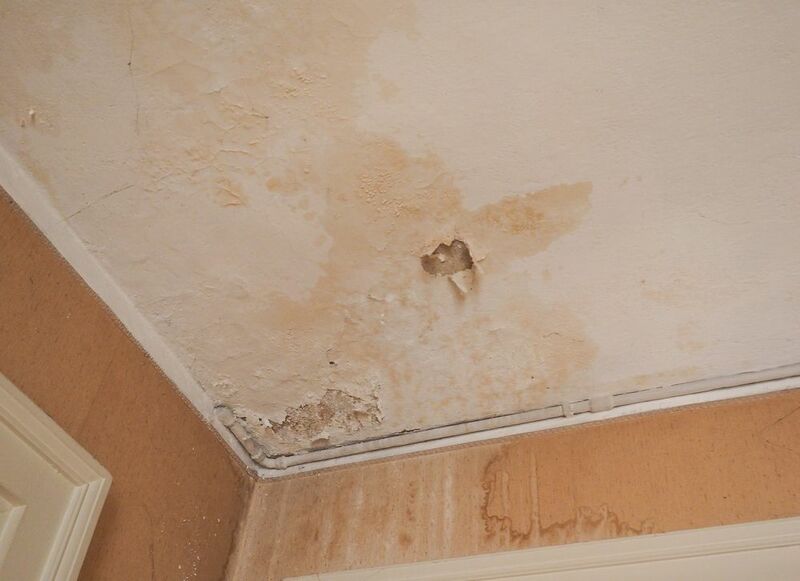 Above, we mentioned that water damages were one of the most common types of damage in the home insurance industry. Understandably, it’s in your insurance company’s best interests to lower the amount they need to pay. That’s why they’ll often try to slip conditions into your home insurance policy. Some insurance companies have now tried to put language into your policy that prevents you from reporting water loss past a 14 day period after the incident took place. Policies like this can be particularly awful for homeowners who are on vacation, or those who have a vacation property in a wet climate like Florida. They may not be covered because the damage wasn’t spotted within a 15 day window. Ultimately, your best option is to hire a public adjuster to walk you through the water damage insurance claims process. They’re certified professionals who know the industry better than anyone – and they’re the best way to ensure your water damage insurance claims are covered. Have a question or need help with your insurance claim? ClaimsMate is here to help with expert Public Adjusters.